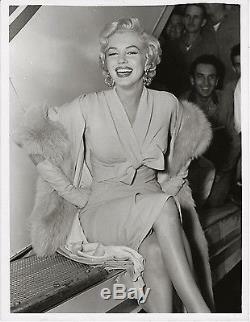 This is an ORIGINAL vintage press photo featuring Marilyn Monroe. It isn't dated, but my guess would be around 1954 or so. See scan #2 for the press stamp on the back. It measures approximately 7 x 9 and is in very good -- almost excellent -- condition (see details above). I post new items every week, so be sure and stay tuned to my auctions. Check out my other items. Be sure to add me to your favorites list. The item "Marilyn Monroe smiles for the camera ORIGINAL press photo. Circa 1954" is in sale since Thursday, September 08, 2016. 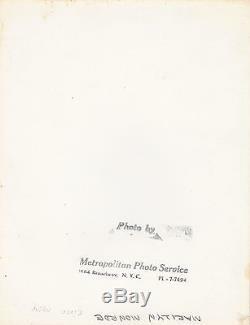 This item is in the category "Entertainment Memorabilia\Movie Memorabilia\Photographs\1950-59\Black & White". The seller is "ansonbreck" and is located in Ishpeming, Michigan. This item can be shipped worldwide.